How the Hamalas, a Tongan family and the Liagas, a Samoan family celebrate Christmas. A Softball Game. 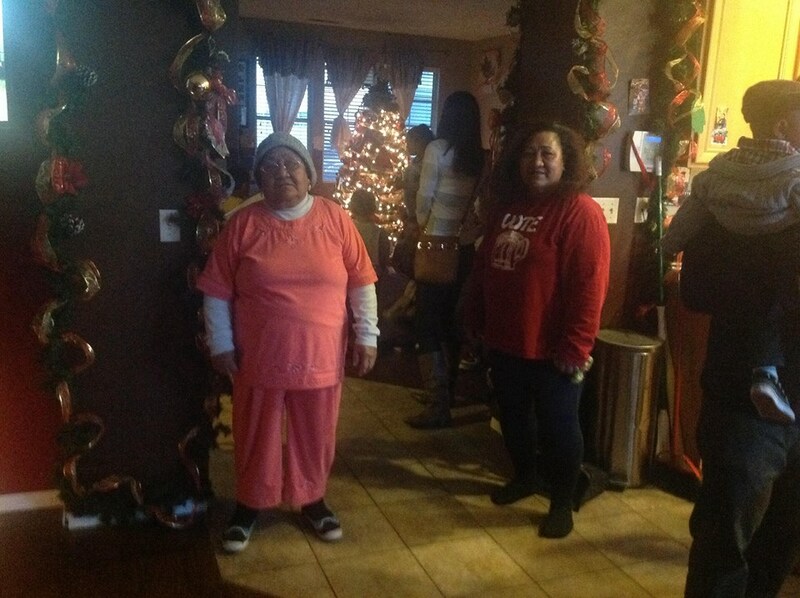 It's becoming a tradition now for the Hamala's family (Tongans) and the Liagas family (Samoan) to first beat each other on the softball field on Christmas Day before they eat food and open presents. As always these two families start by saying a prayer on the field lead by Pastor Milo Liaga. Then they start the game. It was quite interesting because of the participation of everyone in two families. 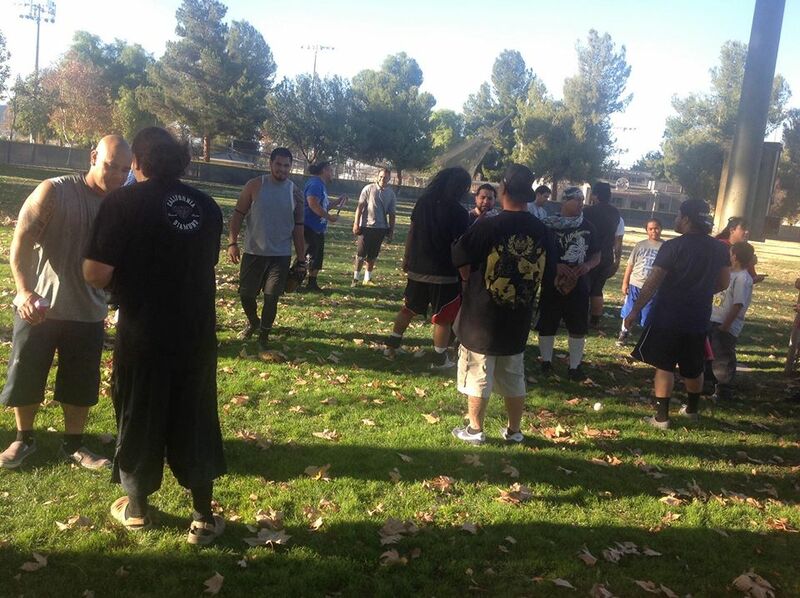 The joyful euphoria gathering fused by the softball game has become an annual activity. 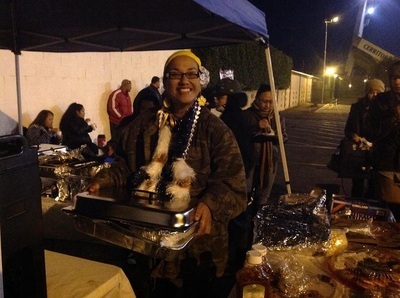 It's a great opportunity for the two communities who shares Polynesian roots to relax and enjoy each other's company. The Hamalas and Liagas set an example of how Christmas, the spirit of giving, especially the brotherhood influence, is most important. They also set an example of why our Savior Jesus Christ is born on this great day. 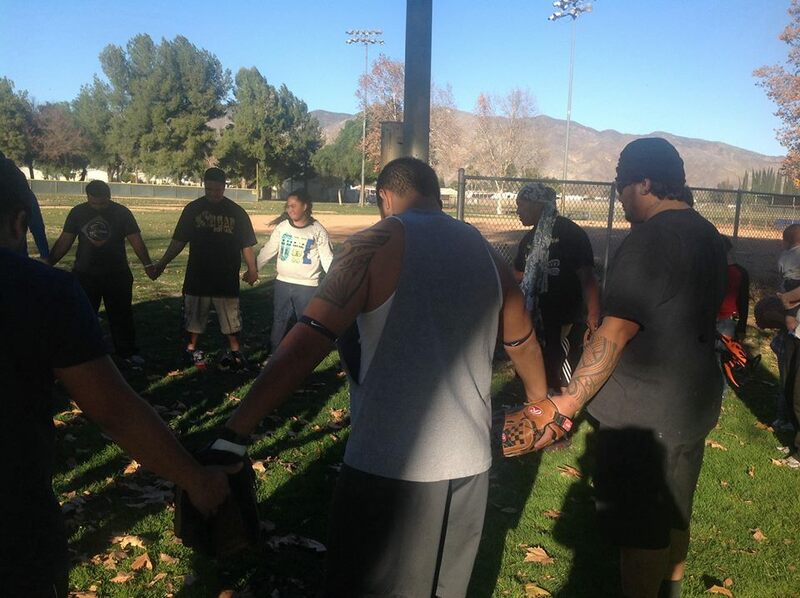 We, the Polynesians are very familiar with this custom or practiced faith. Both families traveled a ways to get to their chosen location for the game. This year the game was won by both sides as is the usual case although its not for lack of athletic skills or lively play and the cheerleading by the patriarchs and matriarchs of both sides is always a source of good fun and laughter. Mr. Hamala Hamala and his wife Atu Hamala live in Los Angeles and the Liaga siblings live in San Jacinto. 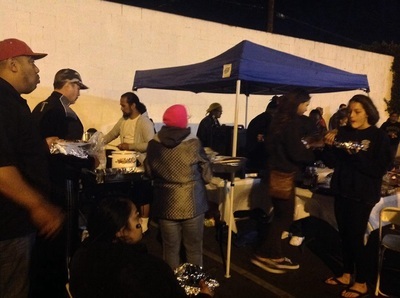 Pastor Milo Liaga and his wife Coleen live in Corona and they all met in San Jacinto to spend time with families on Christmas. Pastor Milo Liaga was the biggest cheerleader while playing short stop. 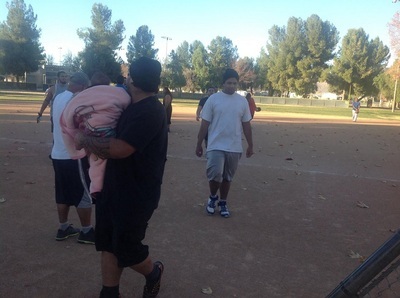 Pastor Samuelu and wife Noama live in San Bernardino also got a chance to swing the bat and run around the field. 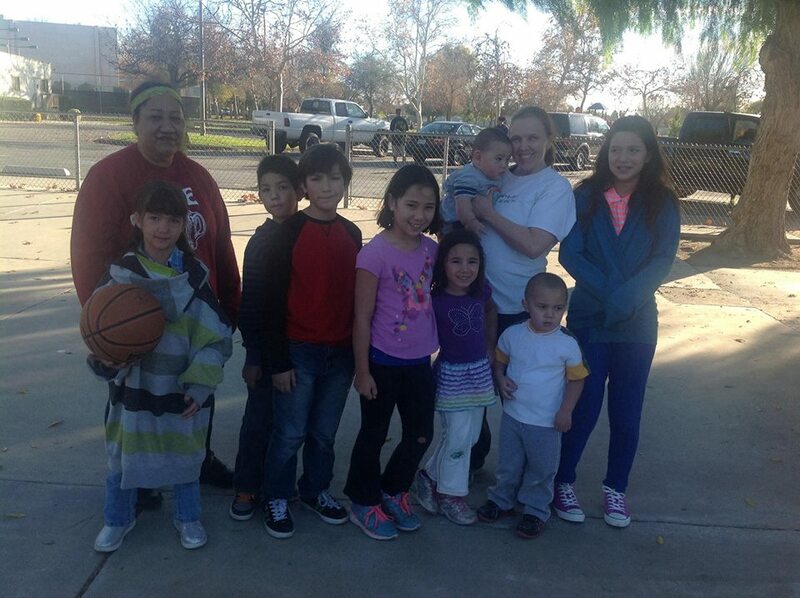 It was a good chance to get exercise for the entire group and enjoy the nice cool weather outdoors. The adults and the younger generation got to enjoy a true American sport. 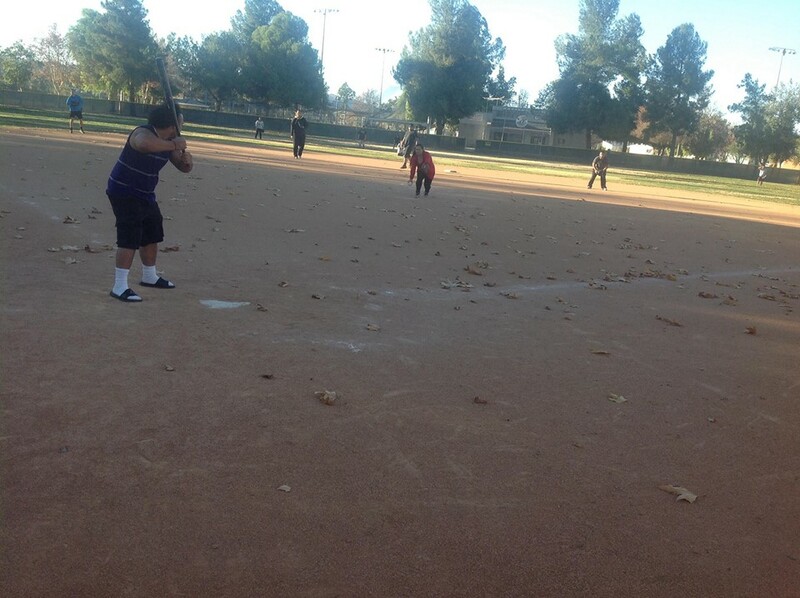 baseball or softball. At sunset everybody went to Nadine and Niu Hamalas house for food then open presents. 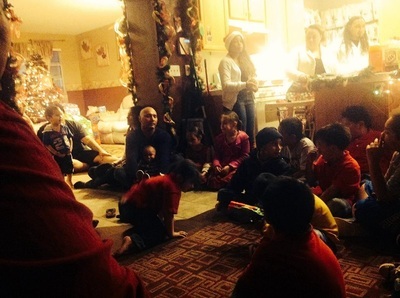 The feast and singing brought both great families and friends together in a spirit of festive Christmas happiness. Mile Stanley, Los Angeles Editor in Chief for le Malae. I am Mile Falefatu Stanley, a realtor and have studied Pharmacology. I hold all licenses in these fields. I am sharing my childhood story so girls and boys living in the mountains, and remote environment of Samoa can realize that there is a light at the end of the tunnel. I encourage students to continue doing your homework, making the right decision about what’s important and not important. You will eventually get there and become one of those competitive persons and make a good salary. If you are the type of kid that is overloaded with house chores and no time to be a kid, then you must understand that hard work will pay off. I was born in Magiagi. 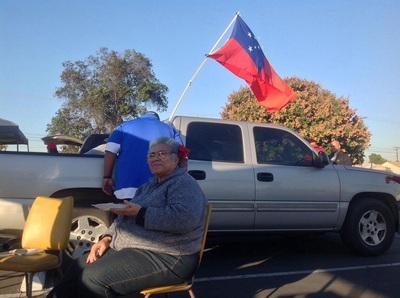 My mother is Toa Taiva Mailata from the village of Mulifanua and my father is Falefatu Masofa Po’e whose mother was from Sapapali'i and father from Moata’a. My working experiences started from my parent’s taro patch (maumaga). I felt blessed to be able to run around in the woods or the forest where my father grew his farm. This part of the mountain is also called “the Talaloa” or “the Vaota”. I bathed in the river running through our land. The river was so cold and lonely that I had to bathe between 12 noon-3pm so the sun warms the water a little bit. It also seemed to me that I was the only young girl in the mountain at that time. When we needed protein, father and I went hunting for wild boars in the mountain. I either carried the lunch bag or the gun. In the evening, when we were too tired to go back home in the city, the boys Atapana and Penehuro made a house out of banana leaves and coconut leaves just for us to sleep one or two nights. I also went fishing with my father in the river and sea. At the river or sea, he would disappear for quite a long time then later come back with fishes. I remember one time my father went diving under the deep fresh water (without any breathing apparatus) and he asked me to wait at a shallow area, then a huge eel dashed by my legs, and I took off screaming. I think the eel was more scared than me charging from the way it took off and disappeared. I must have roared the entire mountain as I heard my own echo. The eel just disappeared. My father obviously rushed him away from his bed and then came to where I was standing. When we went fishing in the sea, he would tell me to walk the beach to a certain location in Moata’a or Vaiala and wait for him. He would go down deeper to the sea with 6 or 7 spears of different sizes and lengths to dive and catch fishes. 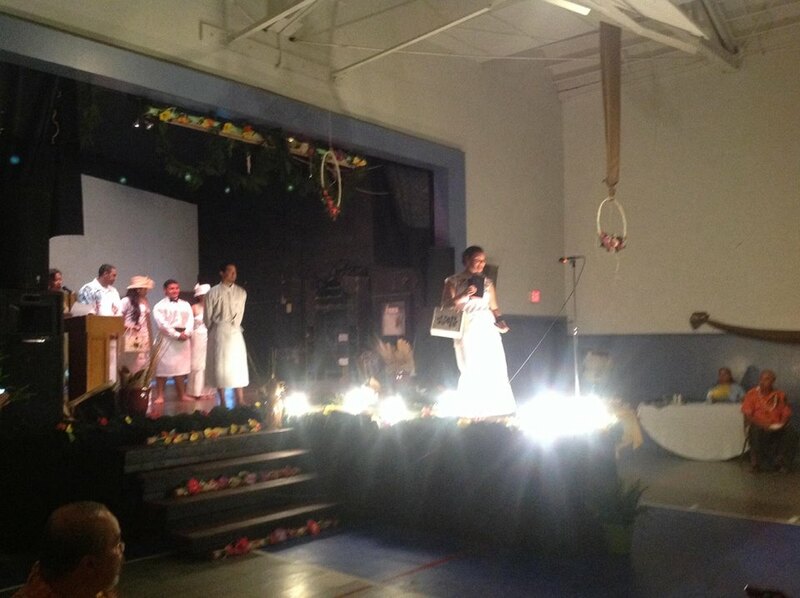 He later returned with different types of fishes tied with strings and wrapped around his waist. He was an amazing man and my hero. Being the oldest girl of my siblings, my main chore was to watch after the younger brothers and sisters while my parents tended the farm. Sometimes I was at the market selling our own products such as taro, coconuts, luau, and tauaga, cucumbers or cabbages. My mother made a business woman out of me by just dropping me at the market, and later I returned home with the monies I earned from my sale. I sold all my products. I also helped my mother doing shopping, cooking and laundry. I then got a job working part time as a maid for my half-cast neighbor in the city when I was 11 years old. 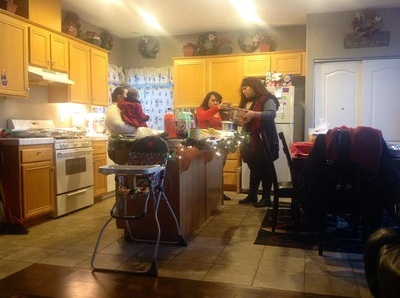 I went after school to clean their house, did the laundry, and cooked. The pay was $7 a week. I was happy and content with my little job because it paid my tuition and helped the family budget. I had also spent 14yrs of my life working for Quest Diagnostics, a medical laboratory, clinical trials and correlation company, resolving problems between the company and doctor’s offices and hospitals. I wore a lab coat, face-shield, gloves all day long and worked in an approximate 12x7 feet area by myself most of the time. I earned a decent salary but I decided to do something else. Therefore, I made a change so I can explore the outdoors and enjoy life and do what I am doing now. It's a privilege to be able to work with the Lemalae team to inform and support our Samoan community in USA mainly this Los Angeles area. My expertise is Real Estate. I will be updating the Lemale website with pertinent information regarding Real Estates. John Bosco WIns the Los Angeles City Championship. Both teams stocked with Local Samoan talent. The top High School football teams in Los Angeles are again two teams with Samoan players. Bringing back memories of Carson and Banning back in the 70s and 80s. Photos by Mile Stanley. 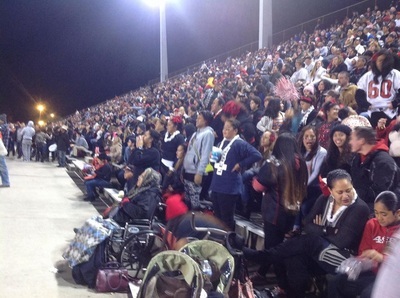 The high school CIF game between Bosco and Centennial was filled with love and support from the Lemalae mainly for our Samoan youth. There were nine Samoan kids in the winning team, 4 seniors. The successful warriors of the season who pulled together with their fellow team mates to win the game last night were as follow:- Jacob Mariner, Damien, Mama, Chander Leniu, Emery Sefo, then Manase Anesi, Clive Manuao, Mason Hall, Joe Taliauli, and Tyler Iosua. 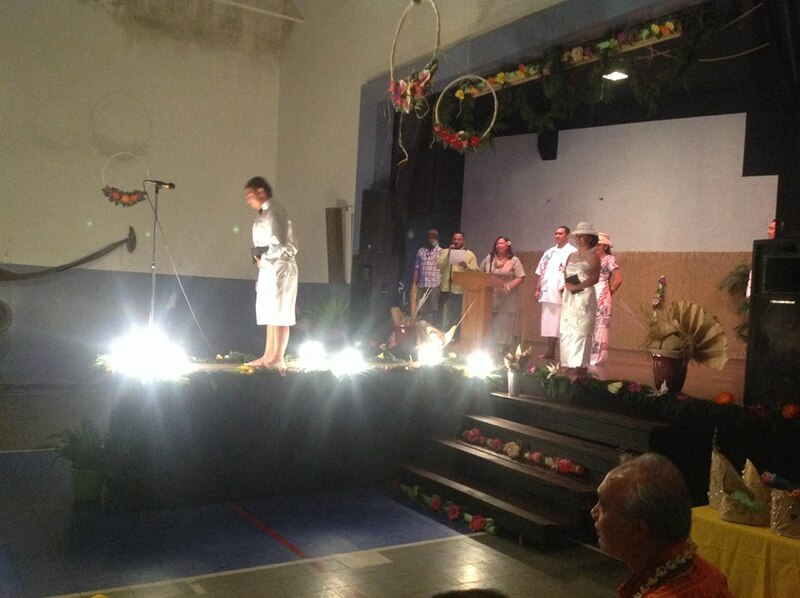 Faamalo i Tamafanau Samoa for doing good job. Faamalo atu i matua for all the hard work as well. The losing team had approx. 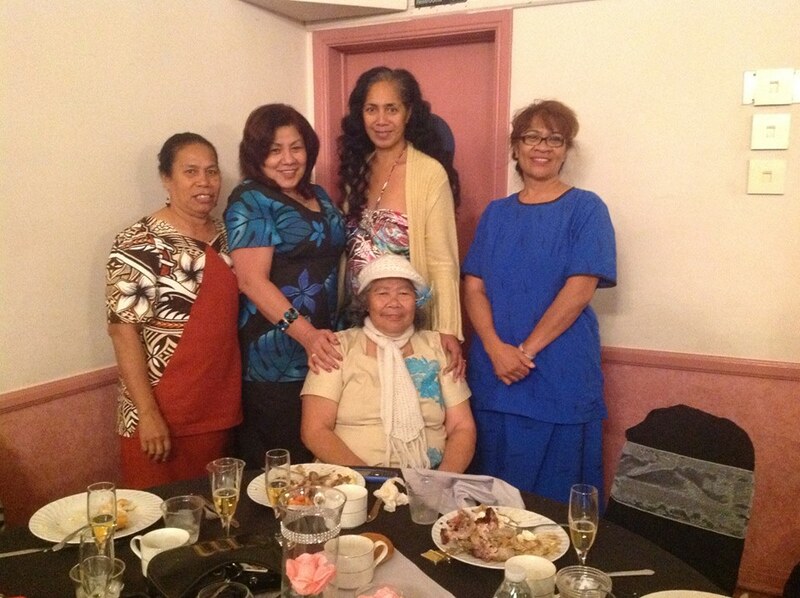 7 Samoan altogether. 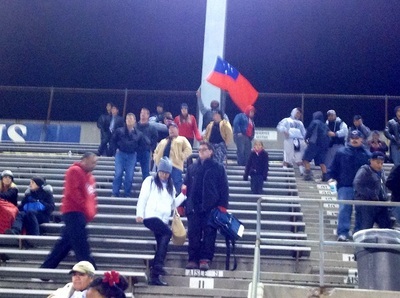 The Samoan community the Los Angeles, California also commend those who showed gave all to the competition. Damien Mama gets interviewed after the game. 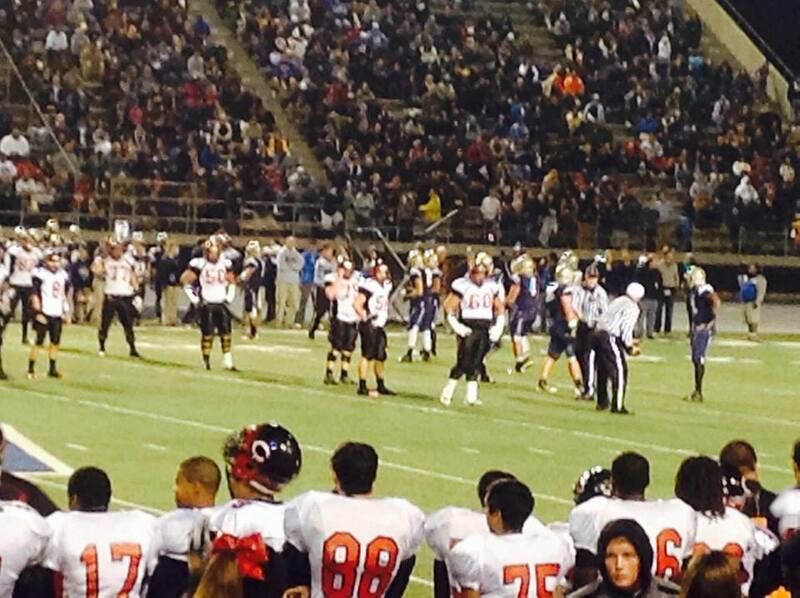 Centennial High School from Corona has great athletes. They played with great passion and were very competitive. St. John Bosco (Bellflower, Calif.) upset Centennial (Corona, Calif.) 70-49 after a solid game from Sean McGrew, who rushed for five touchdowns. He has 22 touchdown for the season. The score was knotted at 21 heading into the half. 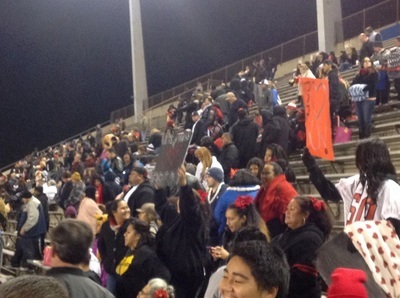 The Braves took the lead for good on a touchdown in the third quarter. St. John Bosco's standout player in the win was McGrew. The sophomore running back caught one touchdown. He has now scored 22 touchdowns on the season. 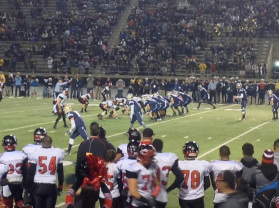 The loss comes after Centennial defeated Vista Murrieta 26-12 last week. 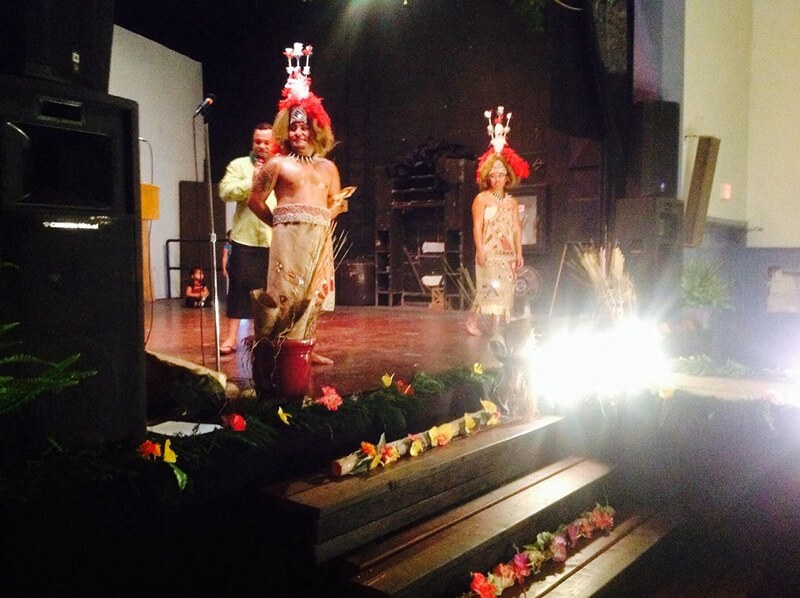 Long beach Samoan unified methodist churches luau and fashion show. 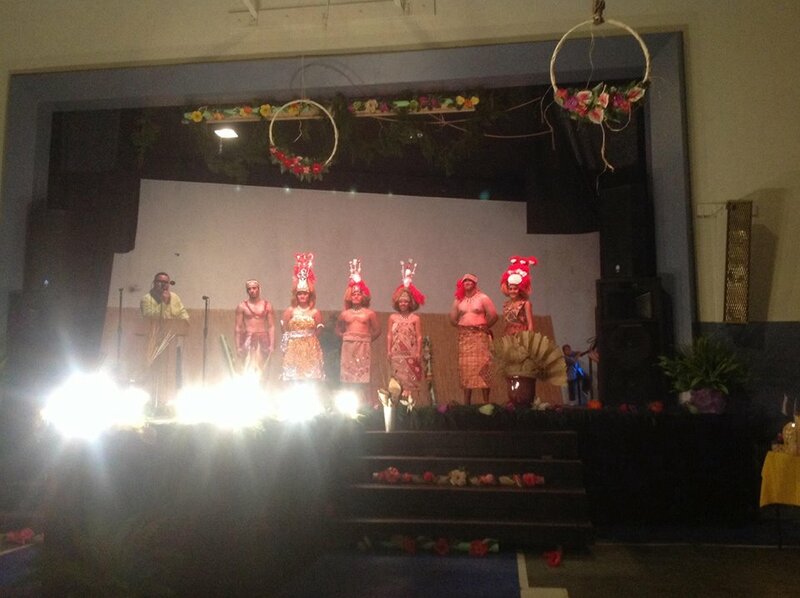 The Long Beach Samoan United Methodist Church luau and Fashion Show on September 28, 2013. 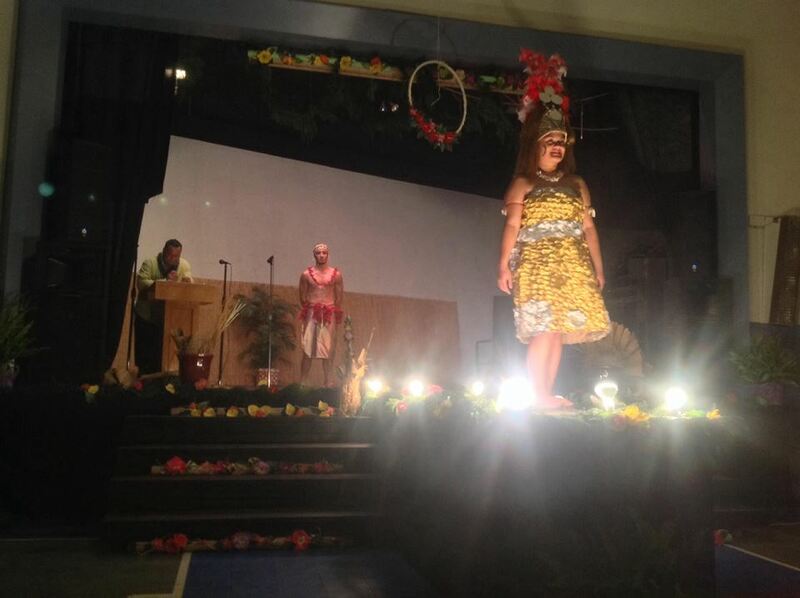 The talents and arts was quite impressive that express the custom and the real attire for the Tama and Teine Samoa. 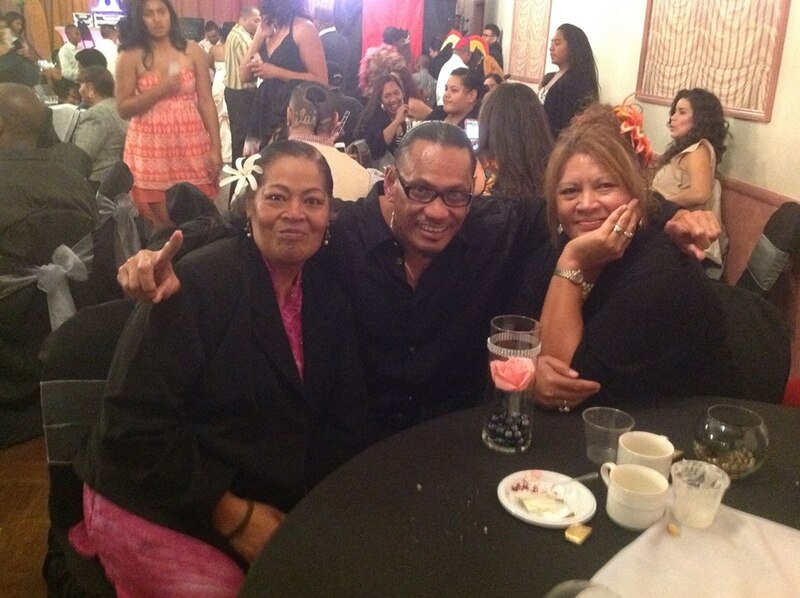 Sione's Wedding. 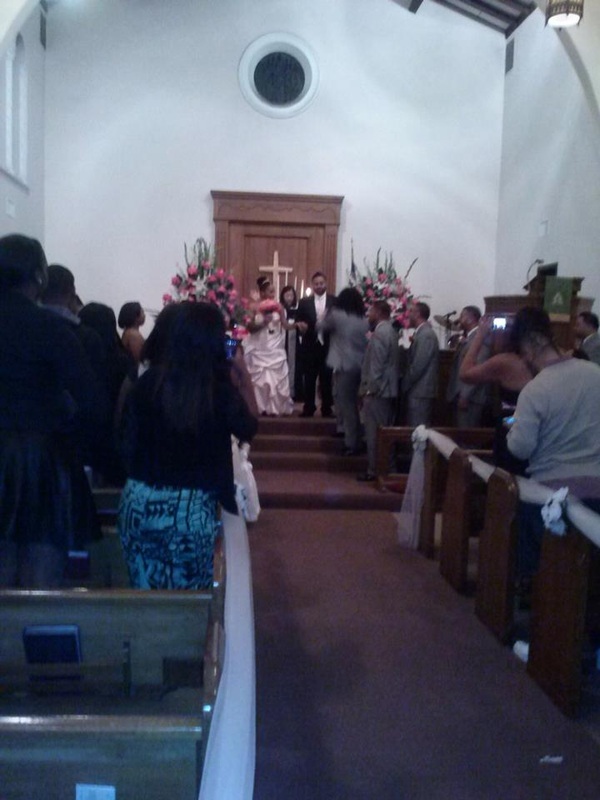 Mema and Beatrice tie the knot in LBC. Mr. & Mrs Sione a Samoan groom and his beautiful bride Beatrice got hitched on Friday 22, 2013. 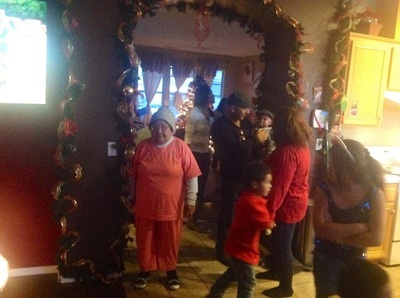 It was a full house consisted of Mema and Beatrice’s families and friends. The proud-parents, Sauiluma and Tupu Sione of Long Beach were quite excited to see their oldest kid leaving the nest. 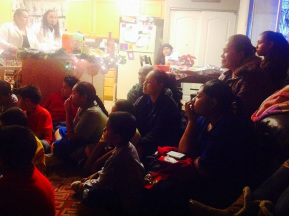 However, a silent moment often experience by Samoan parents is when they ask this question, "How will life change now that he has a wife?" 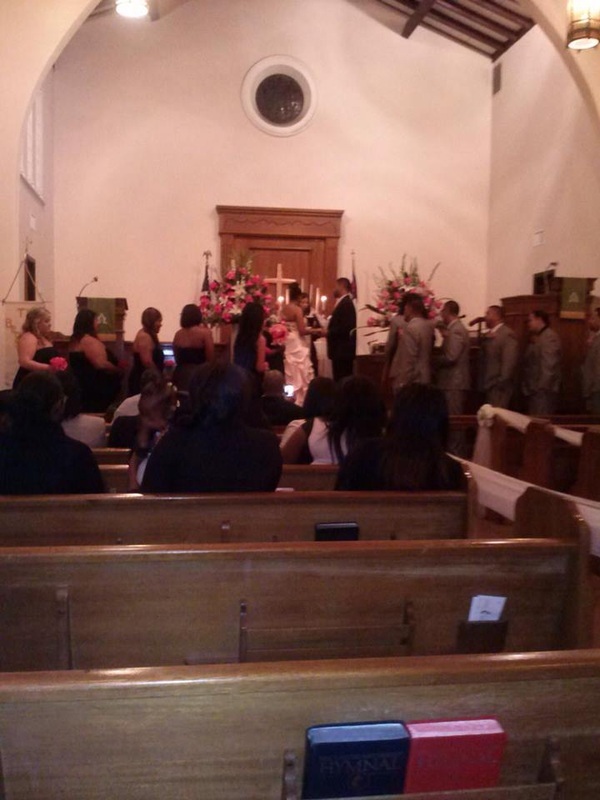 Le Malae wishes the new couple the best and congratulate them for being the first story for Le Malae Los Angeles. There is no doubt that Samoans have immensely made notable strides in all levels of the football realm. 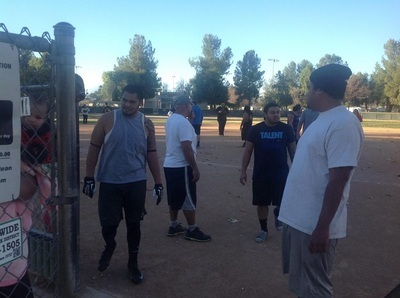 Naturally, for Samoan athletes, they are insanely built and designed for Gridiron football. 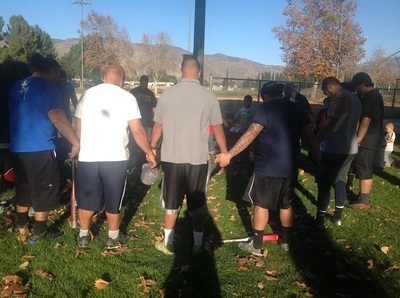 You would find that on almost every Defensive and Offensive lines of most football programs, presents a group of fearless, strong, Samoan 'warriors' grinding in the trenches. Paralleled to their intimidating sizes and aggressive force on the football field are equally prodigious brilliant minds who are also combative in the classroom. Such acute discipline for academic, hand-in-hand, with athletic skills have been the ultimate tools at play for the success of the two standout seniors, out of California, namely Viane Talamaivao and Damien Mama. Both are very good friends with promising college careers. Football Recruiters nationwide have been hot on their trails, which makes them the most sought-after duo, by many top Pac-12 and SEC universities around the country. 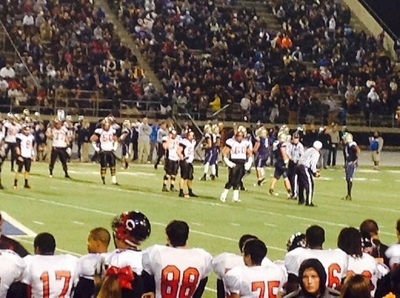 Talamaivao is finishing up his senior year at Corona Centennial High School. A 4. 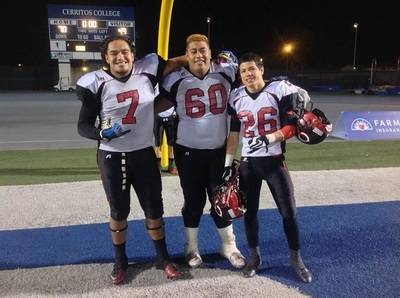 0 GPA athlete-scholar and an Offensive Guard lineman for the Huskies, who recently helped his team win their 2013 CIF Title. He was the MVP O-Lineman for The Nike Opening 2012 and an Honoree for an All-American Army Bowl 2014. 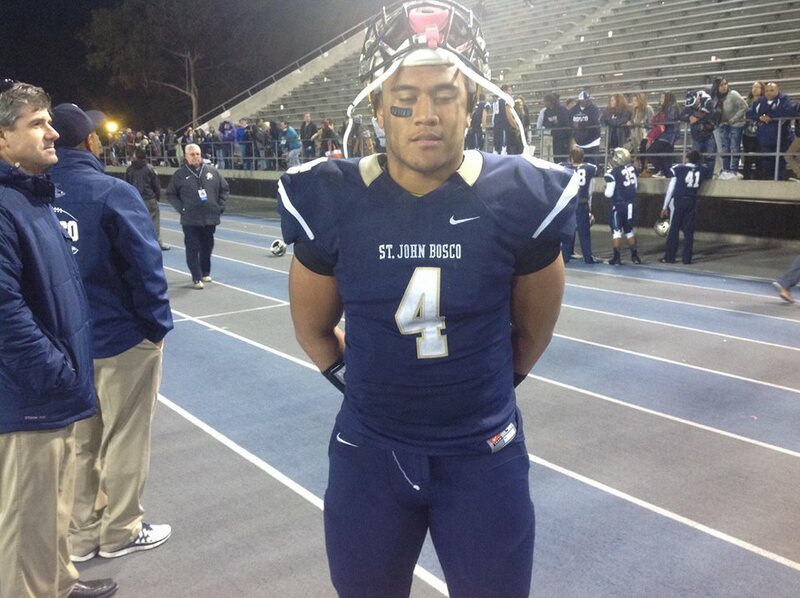 Talamaivao has been offered numerous college athletic-scholarships; however, he has verbally committed to the University of Southern California anticipating a degree in business. 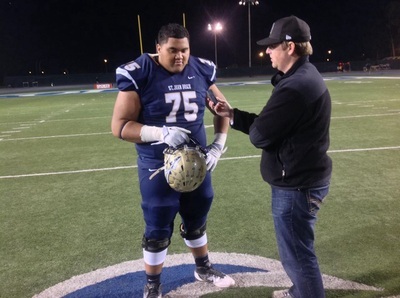 In addition, Damien Mama is a five-star, massive Offensive Guard lineman who is also a senior at Bellflower St. John Bosco High School. An outstanding student and an impressive scholar-athlete who also led his team to a CIF 2013 title. In addition, Damien Mama, is a five-star massive, Offensive lineman who is also a senior at Bellflower St. John Bosco High School. 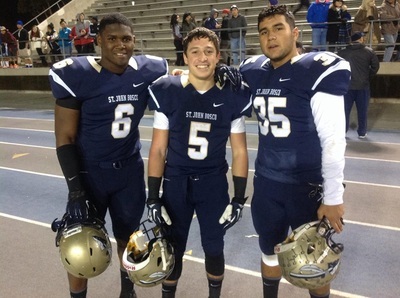 An outstanding student and an impressive scholar-athlete who also led his team to a CIF 2013 win. 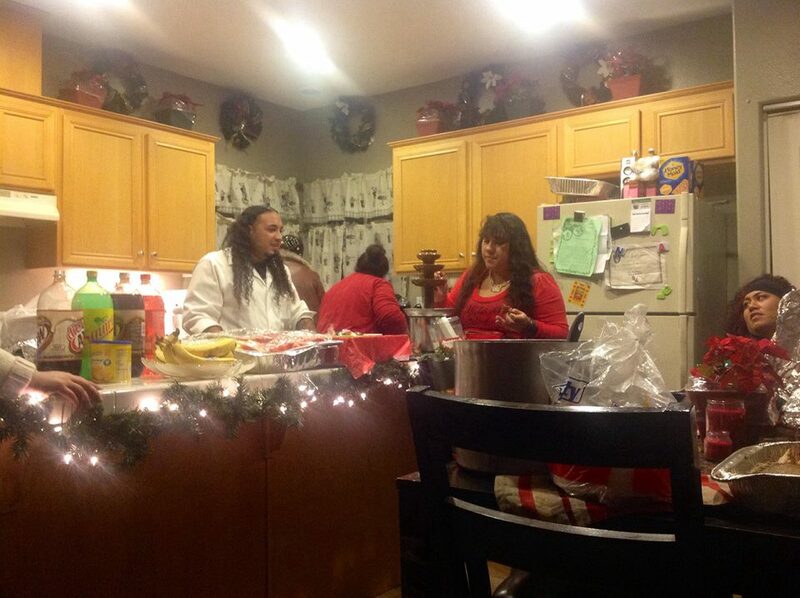 Mama was MVP Offensive lineman for The Nike Opening 2013 and an All- American Army Bowl 2014 honoree. He has received offers from every university imaginable, yet he remains uncommitted until he fulfills all his official visits with respective colleges. Both young men have been exceptional examples of hard work and dedication on-and-off-the-field, for they have mastered the art of balancing sports and studies. 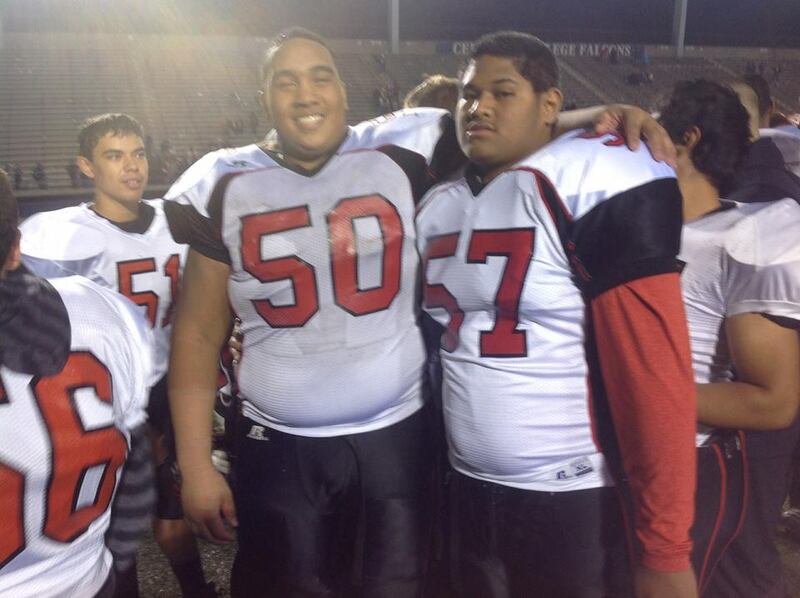 Ideally, they are classic examples for all future young Samoan athletes to emulate. 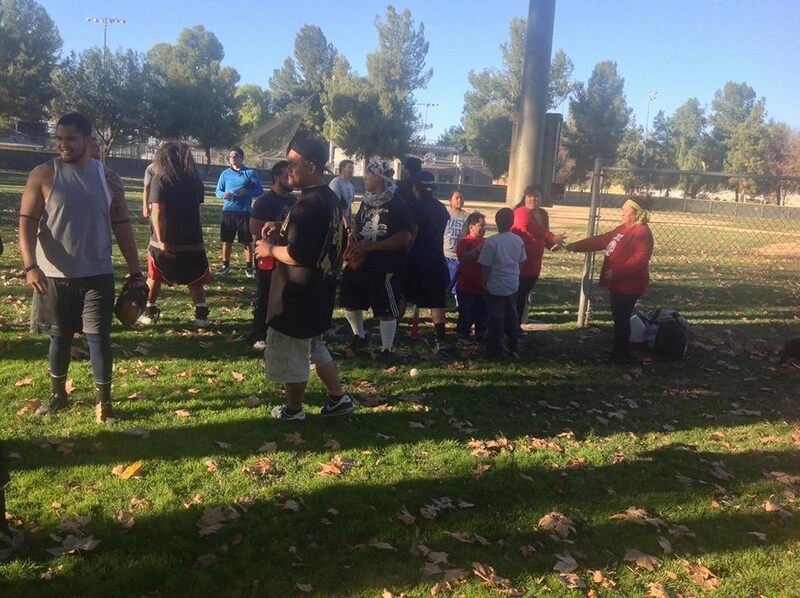 With the demand of Samoans to fill football rosters around the country, it is imperative that athletes must dominate the football turf and shine in the class room, too. In fact studies also suggests that a football career is very short-lived compared to a college degree that will go far. 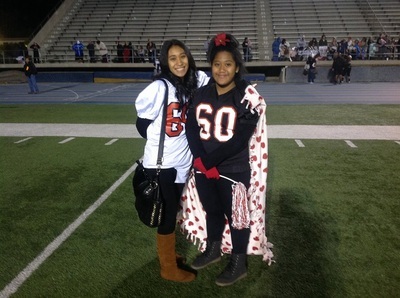 Interestingly, seniors Talamaivao and Mama will grace the turf one more time to finish off their high school football season with a matchup game for the regional title. Corona Centennial Huskies takes on St. John Bosco Braves on Saturday 14, 2013. 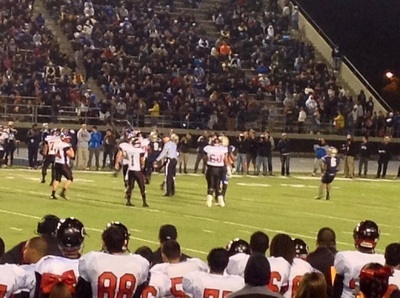 The winning team plays De La Salle High School for the State Title. We wish them both the best in the future. As for the game this Saturday enjoy it. We encourage our Los Angeles readers to come down to support these great teams.